Like many of you, I have a few sites that are fairly complex, utilize dozens of modules - and still run on Drupal 6. 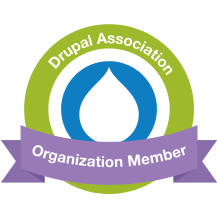 At this point, I don't want to invest the time to migrate them to Drupal 7 because I feel the momentum is finally beginning to shift into high gear for Drupal 8. So, how do you know whether the Drupal 8 ecosystem is ready for a relatively straightforward migration? Thankfully, there are some great resources available!